Bright golden yellow color. Attractive aromas and flavors of fresh crusty key lime pie, custard, and delicate spice with a soft, shy, dry-yet-fruity light body and a smooth, brisk finish manifesting notes of lime and ginger seltzer and sweet potato finish. A fun, light and fruity mead that nails the graham crust flavor of a Key lime pie. Bottom Line: A fun, light and fruity mead that nails the graham crust flavor of a Key lime pie. 90 • KingView "Trocken" Dry Mead 11.5% (USA) $12.00. 84 • KingView "SUB" Sweet Mead 11.5% (USA) $12.00. 88 • KingView Doppel Schwarz 12.5% (USA) $15.00. 90 • KingView Triple Beere 12.5% (USA) $15.00. 86 • KingView 2016 Golden Moscato Mead 12.5% (USA) $12.00. 84 • KingView 2016 Purple & Gold Mead 12.5% (USA) $15.00. 89 • KingView 2016 Blue & Gold Mead 12.5% (USA) $14.00. 85 • KingView Key Lime Mead 8.5% (USA) $12.00. Metheglin is a traditional mead to which a mixture of spices and/or spices have been added. It is interesting to note that the word ‘medicine’ is derived from the word ‘metheglin’. While the honey character in both aroma & palate can be variable, the primary emphasis in this style is how well the spices and/or herbs are integrated into the beverage – they should not overwhelm the honey characteristics, but should be featured. 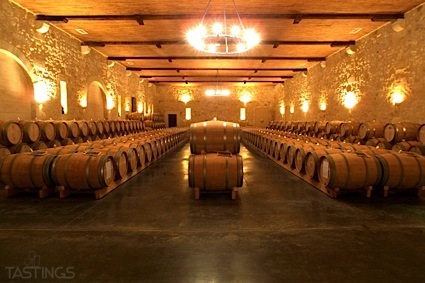 A synergy of the individual ingredients is ideal. 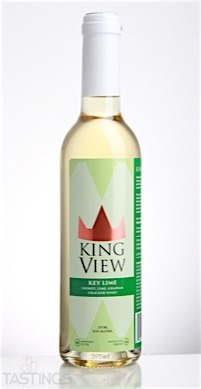 KingView Key Lime Mead rating was calculated by tastings.com to be 85 points out of 100 on 12/14/2016. Please note that MSRP may have changed since the date of our review.